The Little Blog Dress: Ten Things I Couldn't Live Without in 2014!! My beautiful friend Valerie asked me and a couple of her friends to put together a list of must haves for 2014. Products that we couldn't live without throughout this year. Hard to pick just ten, isn't it?! 1. 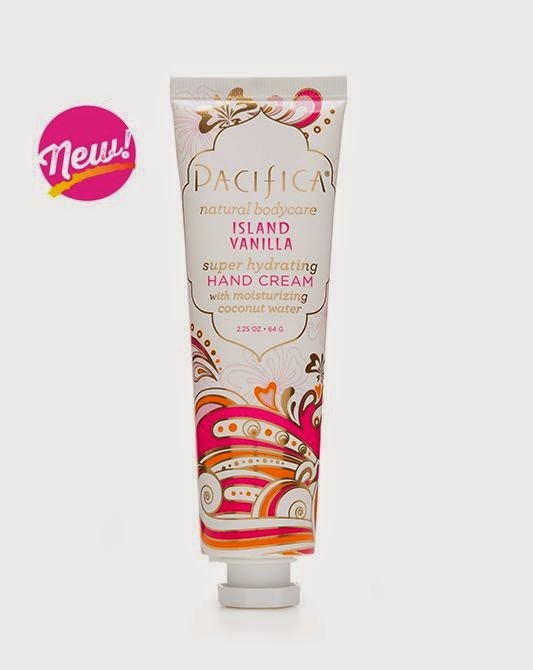 Pacifica Island Vanilla Super Hydrating Hand Cream-This smells so good and it is so nourishing! Inspired by the unique magic of Tahitian vanilla, this sensual blend sets sweet and sultry vanilla absolute, with honey-jasmine notes and a touch of fruitiness, against a deep and beautiful base of tea. A Portion of proceeds from all Island Vanilla sales goes to the Ocean Futures Society, a non profit marine conservation organization. 100% vegan. I love Smoothie King, because it is great for the go...and for anyone who loves chocolate like I do-this Fall they released dark chocolate smoothies in three flavors! Made with 100% Ghirardelli® Cocoa, it really gives me a healthier option for weight watching. They taste rich, but are low in calories! The three new smoothies in this product line include: Dark Chocolate Strawberry, Dark Chocolate Orange and Dark Chocolate Mint. 3. CoverAge by Jerome Alexander Concealer and Roller Ball Sometimes I look in the mirror and realize that indeed the holidays are catching up with me. I love this new concealer and its rollerball friend, that makes for a quick two step process. The center core of the concealer contains a blend of skin care ingredients surrounded by a rich moisturizing formula that easily glides on. 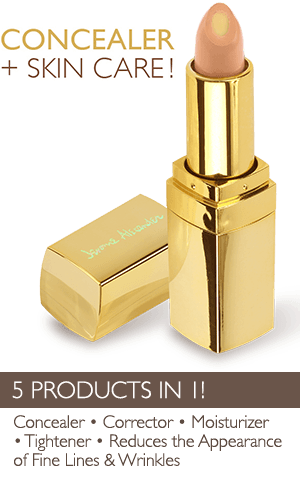 Plus, you get the Bonus Coverage RollerBall that contains the same unique blend of clinical level, anti-aging active ingredients as the under eye concealer but with no tint. Its a double whammy of coverage and I love it! 4. Spark by Advocare I decided earlier this month to sign up as an Advocare distributor...I have NO time to pursue this properly, but I wanted the opportunity to get some of my favorite products at a discount. One of the things that I love is their line of Spark products. There are many flavors to choose from and Steve and I love the fruit punch the best. In January, I will be taking the 24 challenge which includes a much needed gentle Herbal Cleanse. Let me know if you want to join me! 5. Shanti Aromatherapy Oils and Gift Sets. Do you know how lucky I am to have a friend who has her own line of essential oils? I don't know what I would do without her blends in my life. As I suffer from massive headaches and sometimes nerves galore, my two favorite are her Peppermint and Lavender. Nothing makes me feel better than these! Her blends also cure all, and I love her bath salts! These make great gifts, and ladies she is local! 6. 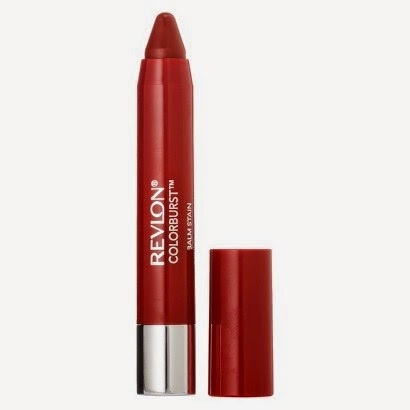 Revlon Colorburst Balm Stain Introduced to me by the fabulous Nada, for less than $10, these are good to have in every color....and I do...I love how they stay on and are never sticky or crumbly. 7. David's Tea Everything Just really love David's Tea...its my favorite! For my birthday, I got the glass tumbler which makes a great cup of tea...you know how some tea infusers aren't fine enough, and the loose tea goes everywhere...not this one! 8. Rhonda Allison Pumpkin Cleanser Disclosure, I am a terrible washer of the face..I know, I just never make time for anything elaborate, just quick in the shower...this stuff (and its oil companion) smells so delicious...I think I turned over a new leaf. 9. 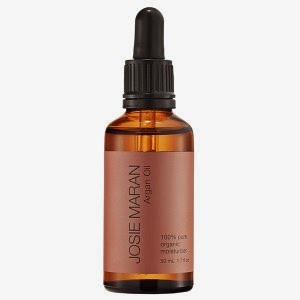 Josie Moran Argan Oil and Makeup Last year I sat across my friend Julie and was like WHAT are you doing to your skin? She turned me on to Josie's color match foundation, which is awesome and the argan oil...which makes your skin GLOW. 10. Bliss Lemon and Sage Line-this just smells so so so so so good. Its a body wash and bubble bath! I can see a theme here, all good smelling stuff!